The magic of Disney is in the air this spring! And if you are planning a trip on your own, with friends, or with the whole family, you can plan for crowds. April brings us not only beautiful flower arrangements in Disneyland Resort (DLR), including right inside the Disneyland Park gates where seasonal changes are always present. It brings us fun events during one of the most travelled times of year. 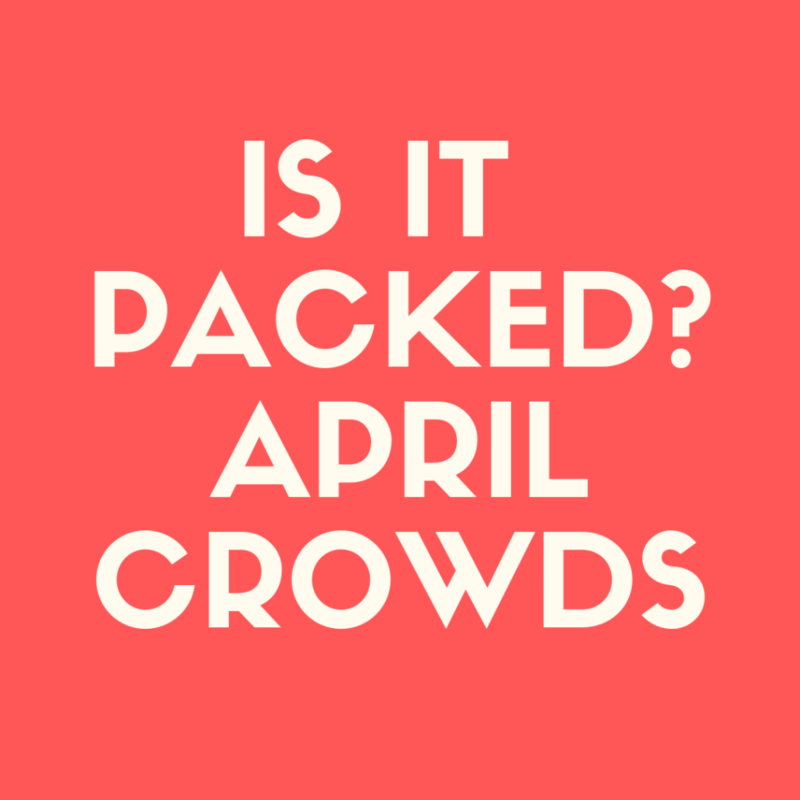 Spring break notoriously occurs either the week before or after Easter, and the one to two weeks off from school mean family vacation time. Not to worry, though! With this tell-all guide, you can plan your April DLR trip with ease! Per the 2019 calendar, April 1 to April 21 are considered peak season (this typically aligns with spring breaks and the weeks just prior to Easter), meaning ticket prices start around $150 for one day at one park. However, if you are willing to wait until April 22 (or any Monday after Easter during the spring season), you can score regular season tickets starting around $130 for a day at one of the parks. Wait one more week until April 29 and you can get a value price on one-day one-park tickets around $105! The further from peak travel season you plan your trip, the more likely you are to cut costs on park tickets. For the latest pricing on DLR tickets and seasonal delegations, check out the Disneyland webpage. Staying in the Disneyland Resort at one of the amazing hotels is a great option to beat the April crowed. Your options right in or next to the park are Disney’s Grand Californian Hotel & Spa, Disneyland Hotel, and Disney’s Paradise Pier Hotel. For pricing and peeks into hotel offerings, click here. The Grand Californian is the luxury resort of the Resort. It has a direct entrance into Disney’s California Adventure (DCA) as well as direct access to Downtown Disney, which is filled with restaurants, quick bite options, and general shopping interests. Disneyland Hotel, the original resort within DLR, is just at the end of Downtown Disney. While it does not offer exclusive entrances into either of the parks, it offers amazing extras like a Monorail-inspired waterslide and several exclusive pools. For a less pricey but just as unique experience, there is the off-site Paradise Pier Hotel. With views of DCA’s (now-named) Pixar Pier, including the Pixar Pal-A-Round (formerly known as Mickey’s Fun Wheel), the hotel is just a short walk or shuttle ride away from the parks. It boasts California style, including hotel-only pools and diverse restaurant experiences, with fun for the whole family. The biggest potential perk of staying in a DLR hotel is buying into the Club Level. These clubs provide complimentary food, snacks on-the-go, and drinks (yes, adult drinks, too!) throughout the day, concierge check-in, and special viewing night spectacles. Of note, the Craftsman Club at the Grand Californian provides pristine views of World of Color while the Disneyland Hotel E-Ticket Club provides picturesque views of fireworks. Both venues are rumored to pipe in the accompanying music of the shows. It’s like a private viewing box! Last, but certainly not least, the club allows you to borrow any Disney movie for the day/night, providing entertainment for the kids or a relaxing two hours before you hit the parks bright and early. The best part about staying at a Disney hotel is the vacation package. When you become a DLR hotel guest, you gain access to exclusive perks. Not only do you receive access to exclusive hotel amenities like fitness centers and recreational centers, your whole gang gains Extra Magic Hour. During Magic Hour, hotel guests are granted early access (typically 7-8 a.m.) at either Disneyland Park or DCA, dependent on the day. For an entire hour, you can enjoy select attractions and endure shorter lines throughout the park! If you’re ready to get an extra sprinkle of pixie dust, reserve your spring Disneyland Resort Hotel Vacation Package. And if you need extra help, you can always ask Flora in a pop-up chat now box! 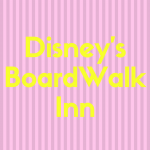 If staying at the Resort is simply not ideal, there are tons of hotel options just outside of DLR perimeters and beyond the typical boundaries that mark “walking distance” to the park (approximately within a two-mile radius). Many of these options include continental breakfasts, on-site concession stands to buy snacks for the day, and parking options so you walk to the parks. For ideas on where to stay that are within walking distance of the parks, explore Disney’s Good Neighbor Hotels. Remember that hotel prices are likely to increase similarly to park tickets — peak season and weeks like spring break are probably going to be higher. Additionally, hotel ticket prices are almost always higher on weekend nights due to higher demand. Crowds in any theme park are a bear, but the magical atmosphere throughout Disneyland should make weaving and bobbing through groups of people and standing in line slightly more tolerable! When you plan your trip or long-stay vacation to DLR, look at the days you are able to go. The best days for Disneyland, even during peak season, tend to be mid-week. If possible, plan to visit the parks Tuesday through Thursday. While there will be special events happening (keep reading for more on this), fewer people are typically able or willing to miss work or pull their kids out of school just before a long break. In talking to Annual Passholders, Wednesday and Thursdays are arguably two of the best days to visit DLR. However, it is important to remember that most of April is considered peak season. As such, every day is anticipated to be have a high crowd index. You can use sites like Undercover Tourist as a strong guide to anticipate the likelihood of encountering the masses. When you’re in the midst of the crowds at Disneyland Resort, it can be overwhelming. During Spring Break, you can expect to see kids of all ages, families of all sizes, college students, young professionals, and just about every country represented. With that said, here are key tips to beat the crowds! Buy your admission and parking online before you get there to avoid standing in the ticket queue. Print your tickets at home or at your hotel of choice (be sure to confirm that they allow printing on site) to save time just getting into DLR. Download the Disneyland App onto at least one smart device! This allows you to navigate the parks with ease. See wait times and ride closures at any time. 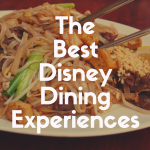 Plus, you can make meal reservations, saving you time on big-ticket in-park restaurants like Blue Bayou that usually have hour-long lines from lunch through dinner. Start as early as you can. Whether you get there at park opening or use an Extra Magic Hour, you want to get as much time in the park as possible. If you are visiting just for the day and require use of one of the parking lots, you will want to arrive at least half an hour prior to park opening (there will likely still be a line of cars coming off the 5 freeway, but at least you’ll be getting into the park close to park opening!). You may also want to consider heading directly to Toy Story Lot, especially if you are in an oversized vehicle. If at all possible, walk to the park for your hotel. You’ll still want to leave early to be sure you get there at park opening. 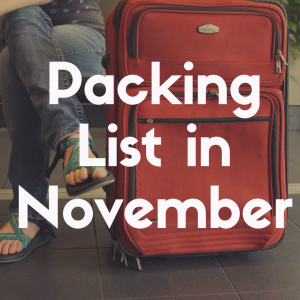 Go prepared — have your gear packed in a bag and plan to either carry it with you or store it in a locker. 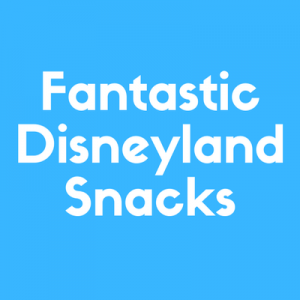 If you and your group like snacks, bring some into the park so you don’t have to wait in additional (food) lines! Stay hydrated — there are water fountains by each restroom and water spigots in the buffet-style restaurants with soda fountains to refill water bottles. You can also purchase Dasani and Smart Water products at various food stands. Plan to eat your meals a little early or a little late. If you can, have breakfast outside of the park. If you’re absolutely dying for a treat in the park early in the morning, you can always make it a snack after your first ride or two! For lunch, plan on eating before noon or after 2 p.m.
For dinner, plan on eating during an afternoon parade or getting a late-bite after major shows like the fireworks, Fantasmic!, or World of Color. If you’re not a foodie, you can skip the meal-planning altogether and hunt for the shortest lines at snack vendors throughout the park! Use shows as opportunities to grab food or take a break. While many visitors are more interested in big-ticket items like rides, the shows throughout the parks are amazing (they’re Disney quality!). Check out Frozen in DCA and enjoy a popcorn. Watch Mickey and the Magical Map in Disneyland Park and enjoy a baked potato or sweet drink. Participate in any of the shows at the Royal Theatre while eating a delicious bread twist or sipping on a slurpee-like delight. Hit up the FASTPASS machines! Most of the major attractions have a FASTPASS option. In brief, this option allows you to go to a machine near your ride of choice, submit your ticket for the link, receive a credible FASTPASS with a return time (one-hour time frame that is usually later than the time you pick up this pass), and a return entrance during that time frame that is special and gives you faster access to that ride. It’s a great shortcut for your priority attractions! Remember that you are only able to get one pass per ticket per attraction per time frame (in other words, don’t run around the park trying to collect FASTPASSES because you won’t be allowed by the machine to take more than one per time frame). It is best to get your #1 attraction of interest FASTPASS at the start of the day, so be sure to go to the park with that ride first to secure your pass. If you are interested in specialized experiences, like a trip to the Bibbidi Bobbidi Boutique, book them ahead of time as possible. Otherwise, go to those stations first and be sure to book your reservations for the day. If you must stand in line, it’s better to do so early in the day so you can get the full experience rather than a rushed version. If you are looking to take photos with characters, follow them around the park via the Disneyland App! You can also ask Cast Members for tips on where to find their friends, but your best bet is to check the App or plan to enjoy those experiences early in the day. Stay as late as you are able to so you can enjoy not only the amazing night spectacles but catch your last few rides on your favorite attractions up until park close. Plus, if you don’t care to watch the night spectacles, you will be one of very few — use those time periods to jump in line on popular attractions since wait times are likely to be significantly reduced as people flock to the shows! You can also do this during the day if you don’t have any interest in parades, but note that trying to move between lands in either park will be made more difficult because of parade route blockades. Take note of entertainment event start times and plan to be in the area of your ride at least 10 minutes before that start time. If you have kids, there are a few other brief considerations to tack on as you navigate one of the busiest times of the year at Disneyland. As great as strollers are, be prepared to let them go! Because your stroller is an extension of you, it is going to slow you down in the pedestrian traffic. When possible, fold up the stroller and carry it with you (while someone else carries or walks with your child). Otherwise, consider doing the parks land by land to use stroller parking efficiently. Most attractions will have a region for stroller parking, but it will save you time and hassle if you can leave it at just one central location per part of the park. Know your kids’ schedules. If they are little enough to still be taking naps, book it into your day by heading to a show or a nice meal for the parents! They may not want to miss any excitement, but letting them rest will certainly make your day (and everyone who’s around you) better when your little one is smiling and giggling during the fireworks! Bring snacks and drinks with you for your little ones. While there are great options around both parks to pick up an apple juice, chocolate milk, or apple crisps (featuring Mickey on the bag! ), getting to them may be difficult and time-consuming with a stroller and/or crying child. If you have those things on hand, you can stay in line, or at least in the same area, without having to worry about hustling to find a vendor with those items. Note that many of these vendors are not simple concession stands; they are mostly built-in store fronts like Tropical Imports (Adventureland) or fruit cars in Critter Country and Fantasyland in Disneyland Park and Mortimer’s Market (entrance to Buena Vista Street) and Fairfax Market (Hollywoodland) in California Adventure. This makes getting favorite kids’ snacks that much more difficult to access with the distance between them. No matter what you do to cope with the crowds at Disneyland, save yourself a headache by being as patient as can be. Try be courteous, even when it’s forced. Your Disney vacation should be filled with joy and magic at the Happiest Place on Earth! As you can imagine, a big part of mitigating crowds as a guest in DLR is knowing how long you’ll have to wait for your favorite attractions. While there’s not necessarily a guarantee that expected wait times are exact and accurate, you can go in reassured that you get on the most popular rides at Disneyland anticipating their wait times beforehand. Plus, as has been said here before, be sure to download the Disneyland App for the most up-to-the-minute tracking of attraction wait times, show times, character visits, and more! Wait times that fall into the “nothing” category range from 5-30 minutes depending on ride popularity. For example, waiting 5-10 minutes to ride King Arthur Carrousel is pretty typical and would be anticipated for a lower-interest ride. However, if you happen upon Space Mountain and the wait time is 30 minutes, that’s basically “nothing” for one of the most popular attractions in the park because it indicates that most of the cars are in operation and that there are fewer people in line than one would expect during high-traffic days. For wait times that qualify to be “peak season status,” you can expect popular rides’ lines to exceed 90 minutes and less popular ride waits to sit around 30 minutes and go as high as 60 minutes. If you are seeing wait times in excess of 30 minutes on just about every attraction, you are looking at a highly packed day, and you will want to plan on using your FASTPASS, consider buying a Disney MaxPass, and plan to hit your top attractions and rides at certain times. It can be hard to determine the most popular rides at Disneyland Resort. Picking your favorite will, of course, be the most important element for your visit, but you want to know which of those overlaps with everybody’s favorites. Here’s an easy breakdown of features and popularity to judge which attractions will be the busiest. Rides that have been there since Disneyland opened in 1955 often pique the interest of first-time guests and annual passholders alike. Because these rides feature original Disney characters and stories as well as ideas that came directly from Walt himself, these rides are highly sought after and typically have longer wait times, especially during peak season. Here are rides that have made the top of the list (10/10) — check out the full blog for a flushed out explanation of features for these attractions. Note that these are featured in Disneyland Park. 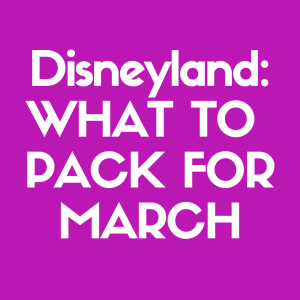 Others that may make the list on particularly busy days include Mad Tea Party, Jungle Cruise, Mr. Toad’s Wild Ride, and Storybook Land Canal Boats. While Disney is not known for tons of high-speed attractions, there are a select few that all make the list for must-ride rides. Remember that many of these have height requirements, so they may not be available to young children. These will also be some of the longest wait times in the parks, so be prepared to get to them early in the morning, late at night, and during typical meal times! If you have a young one with you on your April trip to Disneyland, you can expect to land in Fantasyland! Designed for children of all ages, this magical place features classic characters, stories, and attractions with fewer height requirements! If you head over to California Adventure, plan on heading to the New and Updated Attractions list for the most popular rides that also qualify as “Just For Kids.” Here are some of the most popular kids’ attractions throughout both parks. Disneyland is always growing and improving. With these changes come piques in interest and wait times to see the latest and greatest. Even old rides that have been updated with cool, new features get special attention from guests! Before your visit to DLR, be sure you have looked into grand openings and special events for attractions so you can prepare your priorities based on park updates. A game and a ride wrapped into one: the perfect combination for fun and popularity (and lines). These are some of the most popular interactive rides in DLR, so be prepared to spend some time hanging out in the queue playing your own games! The premier attractions in this category as of 2019 are Buzz Lightyear Astro Blasters (Disneyland Park) and Toy Story Midway Mania! (DCA), but with Star Wars “land” opening soon, you can expect all of the exciting interactive rides to make this list! Other rides that make the list of long wait times include the Disneyland Railroad and Soarin’ Around the World in DCA because of their appeal to just about everyone! Now that you are sufficiently nervous to spend a few hundred dollars to spend a day waiting in line, here are some attractions you should plan to check out that are interactive, engaging, fun and host shorter queues! Note that these lists are subject to change as DLR grows and morphs. For the latest list of attractions as well as list of those that are closed for refurbishment or not currently scheduled to run, visit the official Disneyland site. Though located in sunny Southern California, weather at DLR in April is quite varied. Historically, the average temperature range is between 51 and 73℉. On cooler days, you can expect skies to be cloudy with a chance of rain or gusty winds. On warmer days, you can plan for blue skies and sunshine. There are some oddities in weather to take note of, too. The region is known to encounter El Niño years, meaning the ocean temperature along California’s coast increases, causing intense periods of rain that can span from the beginning of the year through early summer. Occasionally, these periods will be accommodated by days of gray skies and cool breezes. On the other hand, the whole state is infamous for going through long periods of drought. Because SoCal is a chaparral environment, it endures dry spells that mean oddly hot months. It is possible to visit in April and have temperatures well-above average. If you plan for the average temperature range above plus the types of rides you plan to go on, you should be squared away to handle anything the skies throw at you! As a reminder, it’s always best to check local Anaheim weather online or on a mobile app to see the forecast. It’s been 90+ years since Walt put pen to paper and brought Mickey Mouse to life, and Disneyland is celebrating the iconic couple! The celebration is here for just a year (so far), so grab your favorite ears, make your own pair, or buy the latest style and Get Your Ears On during your April visit. DLR has gone all out with special tributes to Mickey and Minnie throughout the park. Listen for musical celebrations, like Mickey’s Soundsational Parade. Take photos with the legacies themselves or with their whole gang of friends throughout the parks. Taste insp-ear-ational treats from select vendors (be sure to download this food guide), or join Mickey and Minnie for a special celebration dinner at Goofy’s Kitchen (reservations required). Dress the part and gear up with featured merchandise. Don’t forget you can also follow park happenings for this event on the Disneyland App! Going through later in April, join professional chefs in culinary demonstrations and family-friendly seminars, enjoy Festival Marketplace Kiosks exploring the flavors of California (including adult beverages! ), teach your little one’s how to cook in Jr. Chef events, splurge on a gourmet 4-course dinner and meet chefs and sommeliers of Disney, sip on fine wines from around the state, and do so much more in just a day during the annual Food & Wine Festival! Whether you go with friends, your significant other, or your kids, there are activities for the whole family to enjoy in addition to the attractions of DCA. This special event features the best of the culinary world offered in California and that is harnessed in the foods of Disneyland Resort. Plus, for foodies, there is unique merchandise to commemorate the festival, including cookbooks and kitchenware! Check out the 2019 line-up online and make reservations accordingly. The Easter Egg Hunt of Disneyland, Egg-stravaganza typically returns during the three or four weeks prior to the holiday, aligning with anticipated spring break season. A great “extra” perk for visiting the Resort in April, despite the crowds, participants in Egg-stravaganza can add a fun activity to their day as they move between Disneyland Park, California Adventure, and the Downtown Disney District collecting special-edition hidden Disney- and Pixar-themed eggs featuring beloved characters. During the annual event, you can join the hunt through select merchandisers in the parks and Downtown Disney. A map and stickers can be purchased for about $6 and redeemed at one of three locations in the Resort — Elias & Co. (Buena Vista Street, DCA), Disney Showcase (Disneyland Park, Main Street, USA), and World of Disney Store (Downtown Disney, across from the tram pick-up). Your crew, no matter what age, can use the map and stickers to record which eggs you have found; when you redeem it at the end of day, you get a special surprise! Note that Egg-stravaganza is a limited-time event and will only be around as long as supplies last. Discounts, such as for Annual Passes, may not apply. The event may change without notice, so be sure to ask a Cast Member whether it’s happening during your visit. For Southern Californians only (you have to live in specific ZIP codes, 90000-93599 or 21000-22999, to qualify), get a 3-Day park pass. Choose between 1-park per day tickets (e.g., each visit would allow admittance to either Disneyland Park or DCA) or Park Hopper tickets (e.g., each visit would allow admittance to both Disneyland Park and DCA) for your 3-Day pass. Ticket options start around $180 for this deal. While the reduced price is for a limited time, note the blockout dates in April — tickets may not be used April 14 through April 22, 2019, which is the standard week for spring break from the Monday before Easter through Easter Monday. The biggest advantage to purchasing SoCal Resident tickets is the large discount. With tickets around $60 a day (compared to $100+ per day), you get a great deal. Plus, it’s like having a temporary, mini-AP with access to the park/s on any three days of your choice that are not blocked out. The deal runs through May, so even if you only make one day in April’s peak season, you can visit again — maybe even twice — before graduation nights and the summer season begins! Learn more about this deal here. If you like dressing up or going vintage, you will love the DAPPER DAY events. Hosted around in mid-April 14 for the Spring Outing, this unofficial Disneyland event is held by the DAPPER DAY group (as opposed to by the parks). Passes to the event can be purchased online prior to the weekend’s festivities. What makes DAPPER DAY Spring Outing unofficial? While you won’t be alone in dressing up and joining others for iconic pictures in front of the Castle or with Walt and Mickey and with characters throughout the Resort, there is not a Disneyland-specific component for the event beyond Guest participation. Nonetheless, DAPPER DAY is a great opportunity to dawn your Sunday best and showcase your best Disney-inspired style with friends and family alike! Plus, for pin collectors, you can find special pins online and at the Expo commemorating the event. Learn more today. Once all is said and done, there are a few key points to remember when planning your spring trip to Anaheim. First, remember that attendance at Disneyland Resort has steadily increased since 2009. As the original theme park in the chain, many feel it’s the best and that they have to see it at least once. Plus, as new parks and attractions open (read Star Wars: Galaxy’s Edge, opening summer 2019), the Resort is likely to attract more attention and visitors. Second, it is critical to plan your day ahead of time and come prepared. Pack for all types of SoCal weather from light rains to sunny days. Bring snacks and water bottles to quench hunger and thirst while in lines. Know what your group of guests needs to enjoy the parks for a whole day, two days, or longer! There are a lot of options outside of the park, like hotel and food selections, that can help reduce your stress during a springtime visit. Lastly, know you will need a lot of patience! Summon your Fairy Godmother in the form of the Disneyland App to look at wait times in the days prior to your trip as well as throughout your visit to be sure you catch your favorite attractions, rides, and shows throughout DLR. Remember, you and your crew are going to the Happiest Place on Earth, so enjoy every crowded moment of it! For tips and updates from the Mouse himself, check out Disneyland’s website.